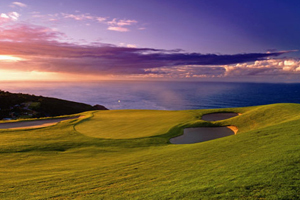 Hyatt Regency Oubaai Golf Resort and Spa has opened on Herolds Bay in George, in South Africa's Western Cape province. The 100-room property is part of the 263-hectare Oubaai Golf Resort, which also features the country's first Ernie Els championship golf course. The luxury resort offers a spa, outdoor pool, three restaurants and more than 1,200sqm of conference and banqueting space. Incentive activities include bird-watching, dolphin and whale-watching from the on-site deck, and tours to nearby wineries. The resort is the second Hyatt property in South Africa, joining Hyatt Regency Johannesburg, which opened as a Hyatt property in October 1995.